Portable Air Cooled Air Conditioners: Portable Air Cooled Air Conditioners units are the most universal, flexible type of portable air conditioners. Our portable air conditions systems have been specifically designed to easily roll into any room or space where you need keep things -- or people -- cool and comfortable. Indeed, our self-contained portable chiller systems are easy to install and operate -- simply roll it in, plug it in, turn it on and set the desired temperature. That’s it! These portable ac systems are preferred because of their convenience and efficiency. 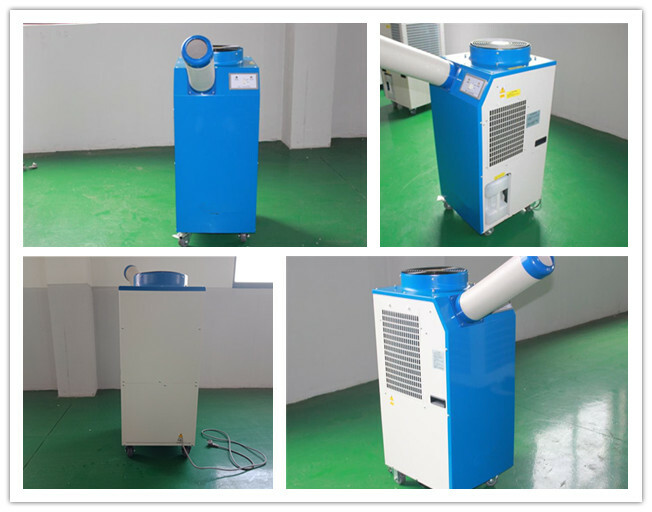 The portable air conditioners use ambient air in the surrounding environment so they don’t need any kind of special intake system to operate. The heat created from the refrigeration process is exhausted off the top of the unit and can be ducted into the ceiling plenum or directed out the nearest door or window to exit the room or space. There’s no need to break the bank at Home -- our cheap portable air conditioners can handle virtually all spot-cooling scenarios, and set up and operational in less than five minutes. 1. Ranging from 1 to 70 tons, our fleet of Air Conditioner Rentals provides a wide range of convenient, effective air cooling options for your entertainment needs. 2. 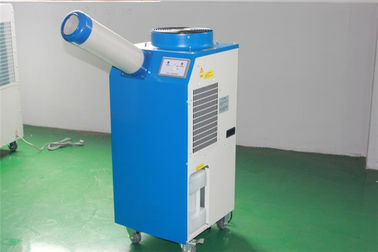 Are designed to provide 100% cool, fresh air or 100% conditioned return air. 3. Designed to be easily transported and allow for direct mount to structure or duct cooling. 4. Environmentally friendly, featuring lower sound levels, zero ozone depletion and low energy consumption. 5. Fitted with state of the art electronic controllers for accurate and reliable operation.